"Dear Chari, I just wanted to let you know we have our order and they are perfect! The chairs are all you say they are and so much more. Both my husband and I love them! 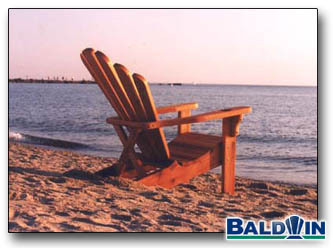 Once my husband sat in the Baldwin Chair with the ottoman he felt a great weight just lift off of him! I forgot to order the maintenance kit. I will place an order next week for it. I want to keep my chairs beautiful. Thank you and don't be surprised if you get a few more orders from the Cayman Islands."